Enterprise Resource Planning (ERP) helps organizations to increase productivity by offering information systems that bind various functions such as inventory management, finance, human resources, and others. With its benefits of low cost, low maintenance and easy expansion, it has the potential to take over the ERP market, and the traditional on premises ERPs. In addition, increase in enterprise mobility and the customized pay-per-usage model creates a potential space for cloud storage solutions. 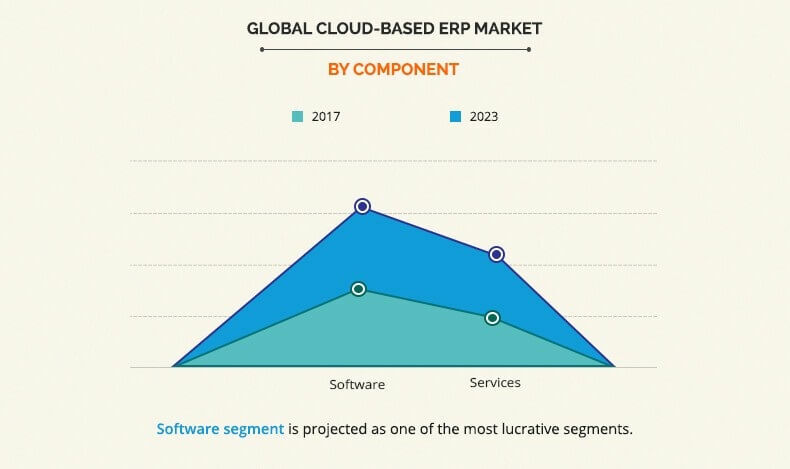 Emergence of cloud service brokerage further boosts the deployments of cloud ERP among organizations. The ERP prevents data loss or downtime due to localized component failure on cloud and avoids vendor lock-in. The price-sensitivity among cloud users majorly drives the market growth. An effective ERP solution automates the process of an enterprise and leads the company to its desired success and growth. For instance, a major metal machinery company implemented a cloud ERP system to streamline the rapid and ongoing changes within the company. Some of the benefits of this implementation were that the company could check the real time status of their order, stage of production, mobility of the information, email alerts, and overall scenario of the processes in all departments. 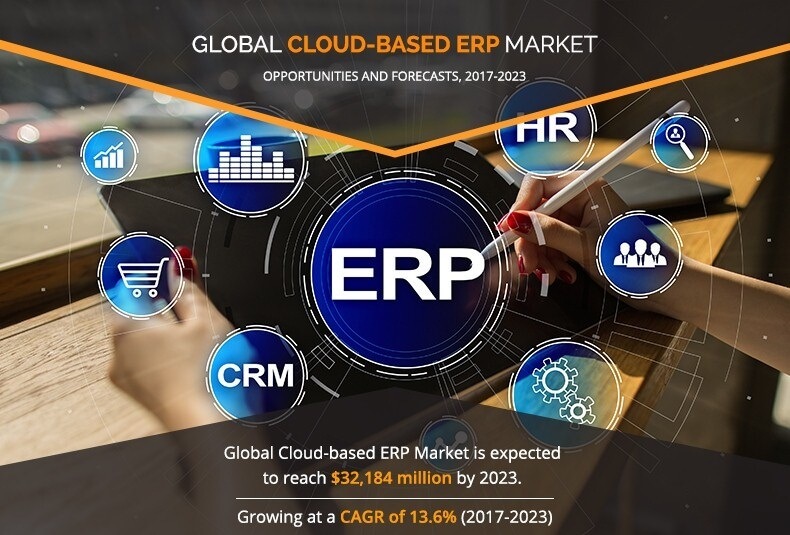 However, the infrastructure management of an ERP system can be complex, and needs an efficient management system, thus boosting the requirement for the adoption of cloud-based ERP software and services among IT buyers. 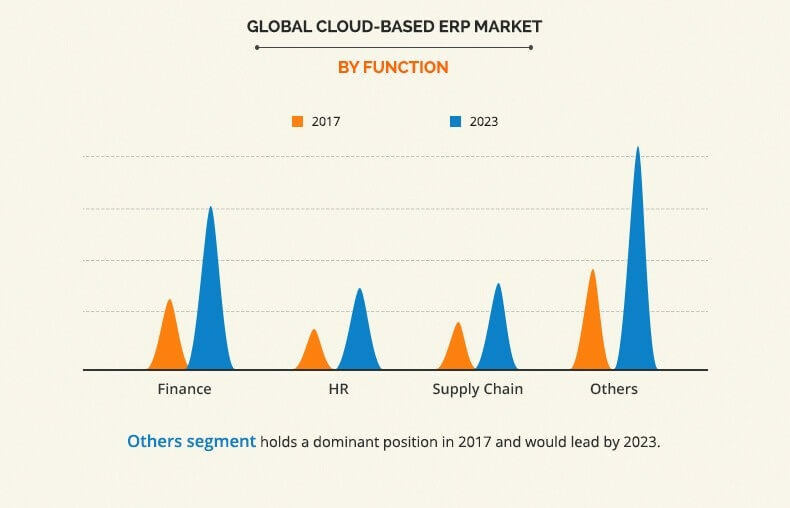 The key market players in the global cloud-based ERP market have adopted various strategies, such as product launches, partnerships, business expansions, promotional activities, and strategic alliances, to increase awareness about newer technologies and increase their adoption across various verticals. 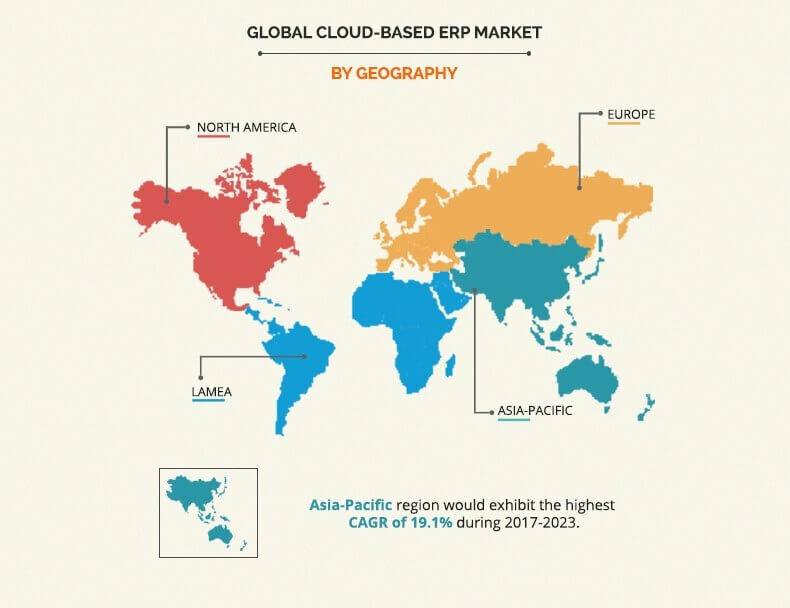 "Cloud-based Enterprise Resource Planning (ERP) Market"